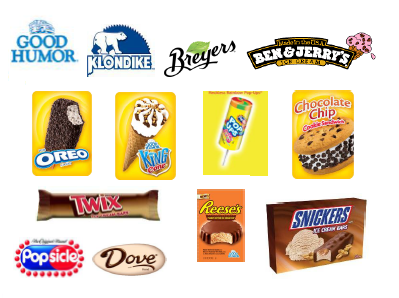 Joe & Ross Ice Cream is the Master/Preferred Distributor of leading brands such as Good Humor, Klondike, Breyers, Ben&Jerry's, Popsicle, Dove, Snickers and Twix. Full service deliveries are made on a regular basis throughout Illinois and Indiana. Stores that qualify receive modern freezers at no charge. Joe & Ross Ice Cream has been a leader in the gasoline-convenience channel for four decades.